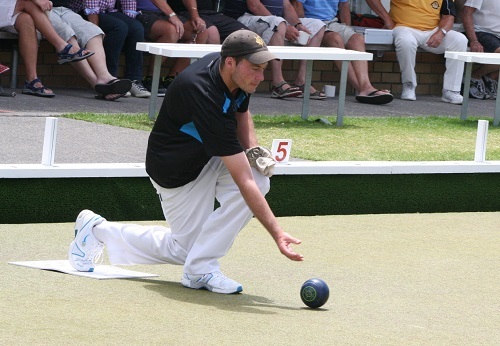 Victoria’s Raymond Martin had a day to remember when he skipped his youthful side into the final of the men’s fours at the New Zealand bowls championships on Auckland’s North Shore today. Martin has his regular lead, Richard Corry, off the front of his four and two youngsters from Glen Eden, Monte Pawa and Rory Soden. Pawa and Martin have both represented New Zealand in junior sides. But to a man, making the national fours final is their biggest moment – and challenge. In this morning’s final they meet a talented, experienced and determined side headed by Aramoho’s Peter Belliss and including Richard Girvan (Onehunga), Lance Tasker (Tauranga) and Danny O’Connor (Birkenhead). Martin won 11 of the ends in his semi against Ashton, Petar Sain (Carlton Cornwall), Ray Boffa (Palmerston North) and Barclay Lee (St Heliers). But fours on the second, 11th and 16th ends kept Ashton in the game. The last one closed the margin to 17-16 in Martin’s favour with two ends remaining. On the penultimate head, Ashton held two before Pawa ran the jack into the ditch and sat on top of it. Martin drew the bonus to give the side a three-shot buffer, eventually winning 19-17. Martin, after a mixed match, had produced two magnificent bowls to deny Lawson 18-14 in the quarterfinals. One down with three to play, and two down on the head, Martin ran the jack for three. On the next, Martin was again down when he drew a toucher for two shots. Leigh Griffin, playing with Karen Hema (Auckland), and Nicole Toomey skipped by Olivia Bloomfield (Auckland) were eliminated in the womens quarterfinals.